The Alumni Association of SCD Govt. College Ludhiana has been playing a great role in offering a platform to the old students of the college to reconnect themselves with their alma mater and rekindle the flame of intimacy with the institution. To give the Association a wider scope and to enliven and strengthen the basic bond between the teacher and the taught, the membership has been extended to the present and ex-faculty members and former Principals of the college. The Alumni Association has been holding Alumni Meets regularly and successfully. As per the constitution of the Alumni Association, the Principal in the chair would be the ex-officio President of the Association and the Vice-Principal would be the Senior Vice-President. Every ex-student of the college can become a member of the association on payment of the prescribed membership fee. Every present and ex-faculty member of the teaching staff and former-Principal of the college can become a member of the association on payment of the prescribed membership fee. Currently the life membership fee is Rs 500 and thereafter the annual continuation fee is Rs 200. 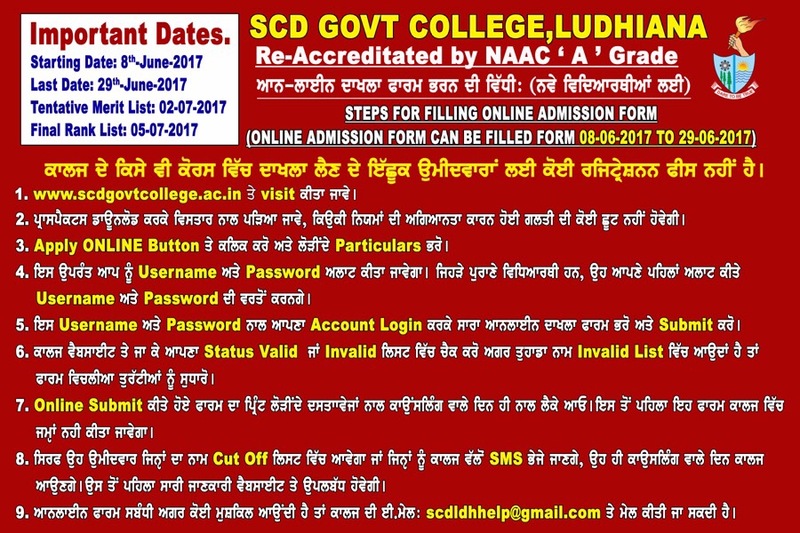 The membership performa can be downloaded and sent to the Principal SCD Govt College Ludhiana along with local cheque/draft for the requisite fee. The cheque /draft should be drawn in favour of Alumni Association SCD Govt College Ludhiana. The membership performa may also be deposited in person in the college and the fee deposited in cash at the counter.